If you over 30 and love music then 9 times outta 10 you've been part of the infamous who's doper, Jodeci or Boyz 2 Men debates. Now if you know anything about me then you already know who I'm rocking with but I feel like whenever folk are talking about the dopest groups of the 90's it's always Jodeci and Boyz 2 Men. 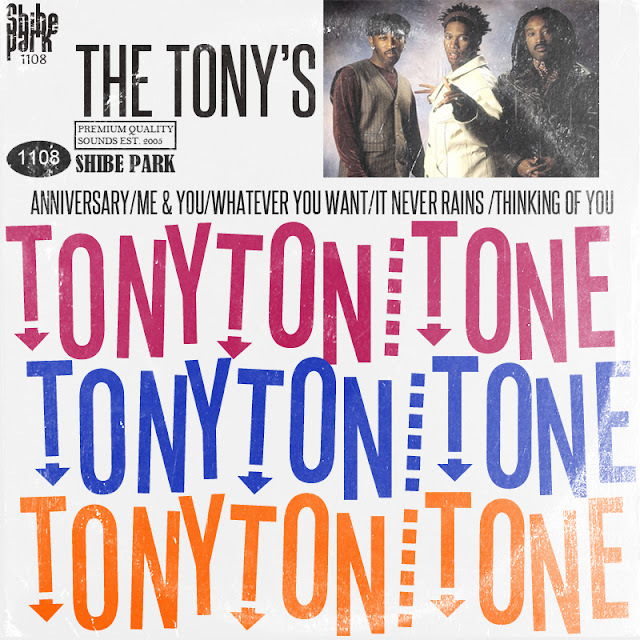 Somebody MAY throw in Mint Condition or Dru Hill but I seldom EVER hear anyone ever say ANYTHING about Tony Toni Tone which always blows my mind. First things first, Raphael Saadiq is part of the group. Nuff said. Second, these dudes literally own some of the dopest slow jams from the 90's with It Never Rains, Me & You, Lay Your Head, Anniversary, etc. Third, they easily have one of the dopest and most consistent discographies in the R&B game. And forth, these are the dudes that made the 5 mic classic "House of Music." And if by strange chance all of that isn't enough to prove my point that their name needs to be mentioned amongst the greats, bang out to my "The Tony's" mixtape and get your mind right.